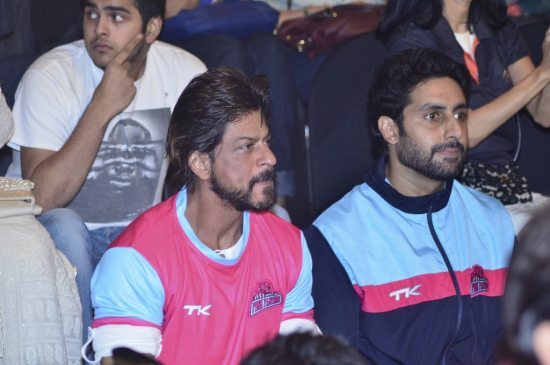 Bachchan family along with Shahrurkh Khan and Aamir Khan at the Pro Kabaddi League. 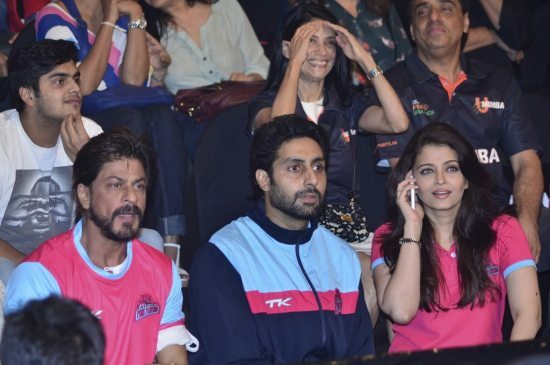 Aishwarya Rai Bachchan, Shahrurkh Khan and Aamir Khan turned cheerleaders for Abhishek Bachchan’s Kabaddi team at the Pro Kabaddi League in Mumbai on July 26, 2014. Abhishek’s Jaipur Pink Panthers played against U-Mumba. The entire Bachchan parivaar – Aishwarya Rai Bachchan, Amitabh Bachchan, Jaya and Shweta – was present cheering on Jr. Bachchan’s team. Bollywood actors Aamir Khan, Shahrukh Khan, ace cricketer Sachin Tendulkar along with wife Anjali and daughter Sara and Tina Ambani were the other prominent personalities who were at the sporting event. Dhoom 3 co-stars Abhishek and Aamir seemed to be in a relaxed mood as they engaged in some playful conversation. Aishwarya as usual looked fab in a plain red t-shirt paired with denims. 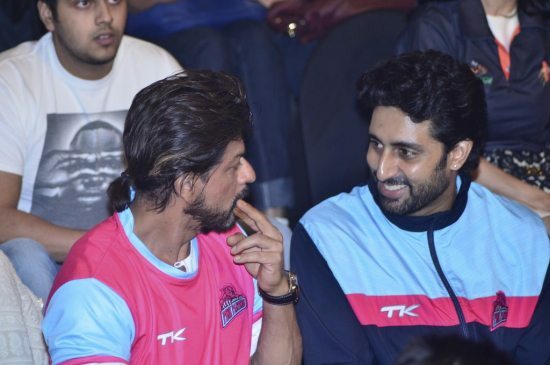 Although, Abhishek’s team eventually lost out, the Bachchan’s were in no mood to sulk! 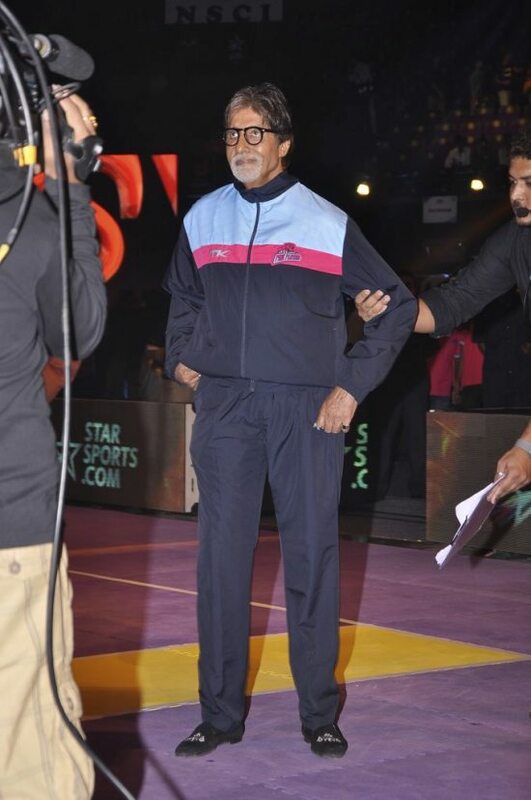 Exclusive video of Bollywood celebrities including Amitabh Bachchan, Sonali Bendre, Aamir Khan, Shahrukh Khan and many more stars on the red carpet of the Pro Kabaddi League 2014 in Mumbai, India.